The opposition parties, on October 17, began a 48-hour state-wide rail blockade demanding the constitution of Cauvery Management Board. Blaming the central government for taking ‘anti-Tamil Nadu’ stand by not setting up the board, Tamil Nadu farmers associations and protesters from different political parties began stopping trains. 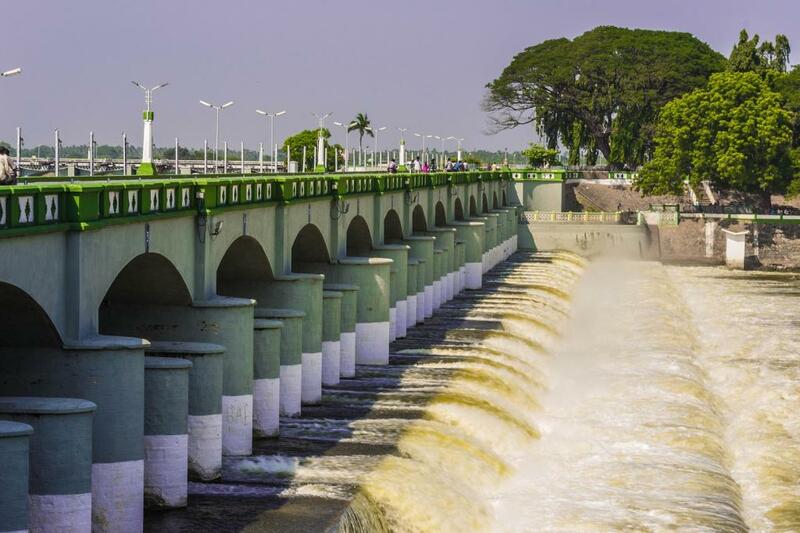 The farmers associations, along with the Congress and the Communist parties, have been urging the Centre to take an unbiased view of the Cauvery water dispute and form the Cauvery Management Board. The rail blockade is aimed at building pressure on the ruling AIADMK. At Perambur station in North Chennai, the DMK leader MK Stalin reportedly sat on the tracks along with several party workers. The protesters declared that they would not allow trains to and from Bangalore to move. At Tambaram in Chennai, few local trains and Navjeevan Express were stopped by the DMK activists. For the first time in five years, the farmers in the Cauvery delta districts who have lost the short-term ‘kuruvai’ paddy cultivation due to water shortage, now run a risk of losing the long-term ‘samba’ crop as well. Karnataka, which should have released 192 tmcft of water in 2016, has released just 34 tmcft. The state government was not prompt in paying heed to the directions of the Supreme Court in this regard. The Tamil Nadu farmers want the Centre to act in line with the Inter State Water Disputes Act 1956 and constitute a Cauvery Water Distribution Regulatory Committee to oversee the sharing of water. A high-level technical committee, headed by GS Jha, chairman of Central Water Commission (CWC), will submit its report to the Supreme Court on October 17. The committee inspected key reservoirs in Karnataka and visited delta districts—Thanjavur, Tiruvarur and Nagapattinam—to take stock of the situation.